Au contraire! The food in London is like that of New York City – a melting pot of all the greatest cuisines. I slurped up curries, devoured pad thai and grew very fond of this little Moroccan restaurant a few blocks away, called Couscous Darna. I probably shouldn’t be admitting this, but up until I made this dish, I had not once cooked a delicata squash. Why not? I thought, like gourds, they were purely decorative. How embarassing! And I call myself a food blogger? I think I made up for it with today’s recipe. And please excuse my use of chickpeas for the second time this week: I didn’t want them to go bad! I have some good news and some bad news. Because I believe in ripping off my Band-Aids, let’s go with the bad first. My eBook isn’t ready. There were some last minute formatting issues that have prevented me from making it available to you all today. I’m totally bummed, but that just means that when that day does arrive (hopefully in the next 10-14 days), you’ll be receiving the best possible Inspiralized cookbook. Now that the Band-Aid’s off, let’s start feeling better. Ready for the good news? 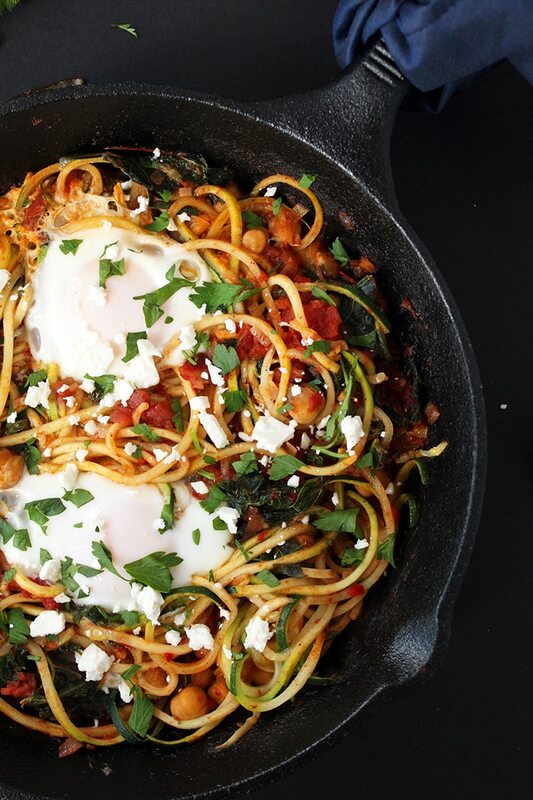 Butternut squash noodles, meet my blog. 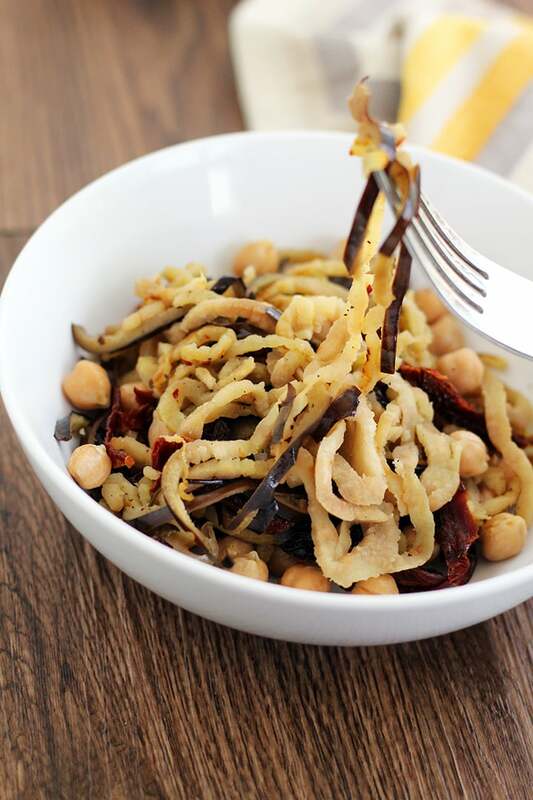 Blog, meet butternut squash noodles. While I’m not saying this is an abbreviation that needs to stick, but for the sake of my tired fingers and time, let’s refer to them as butternut sqoodles. I know, not that catchy. Trust me, I spent a solid 4-7 minutes on this. 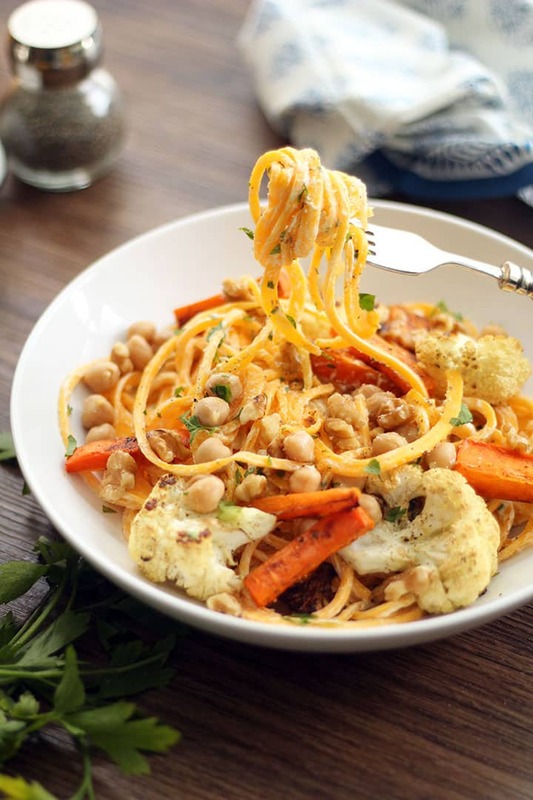 So you see… butternut sqoodles are our best bet. 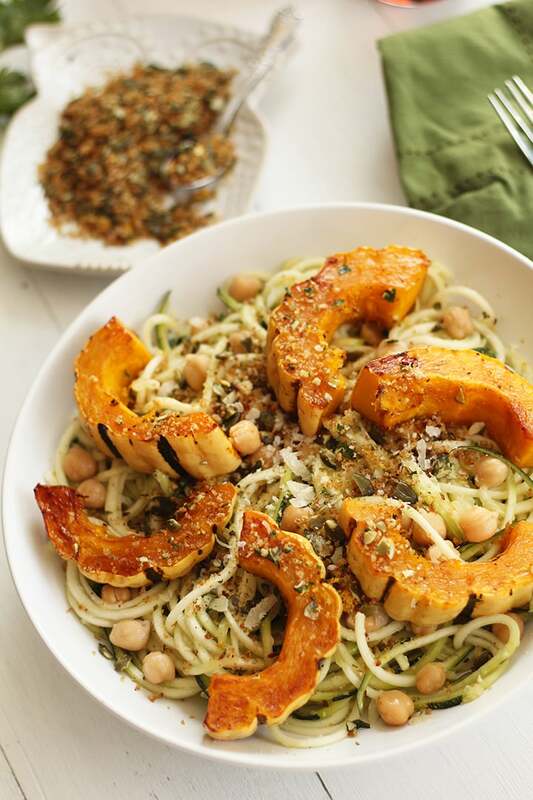 Now that we’ve set the standards, let’s talk spiralizing our favorite fall and winter veggie: butternut squash! All weekend, a big block of Parmigiano-Reggiano cheese was calling my name from inside of the fridge. In an effort to fight the urge to chop it up and eat it all, I had to get out of the apartment. Where to go? Most girls would probably take this opportunity to go window-shopping on Fifth Avenue, replenish their lip gloss collections or find the perfect little-black-dress at a cute boutique. Me? Nuh-uh. I head to a grocery store that I haven’t been to in a while or a farmer’s market. Since the latter wasn’t open, I headed to an over-priced-but-well-worth-it grocery store in Jersey City. That’s my kind of boutique. I cannot BELIEVE that one week from today is Labor Day weekend. This summer absolutely flew by….. It seems like just yesterday I was in Greece, but it’s been almost a month since my trip. 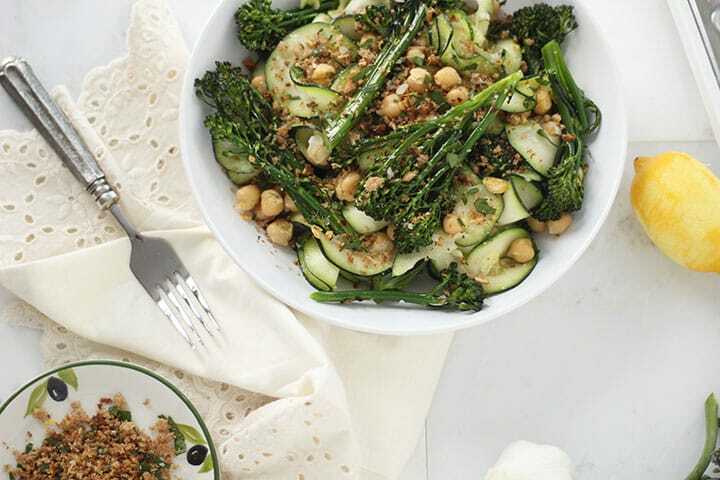 Let’s hold on for as long as we can and pack this week full of summery recipes. To start? 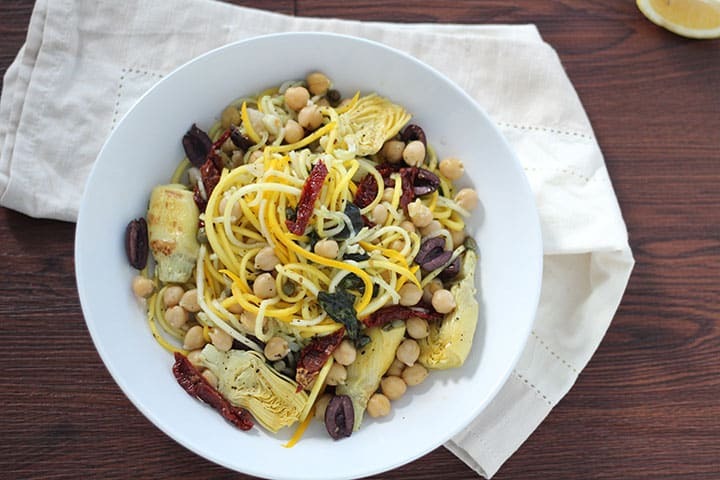 This light, basil-lemony zucchini pasta dish that screams Mediterranean. The simplicity of the seasonings (oregano, basil, lemon, garlic) really lets the taste of the squash come through. I could eat this all day long, cliffside in Santorini.